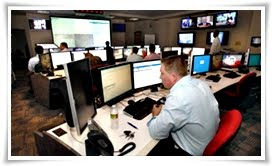 National Intelligence Grid (NATGRID) is one of the most desirable Projects of India. It is essential to safeguard the National Security of India on the one hand and Internal Security of India on the other. It is also required to “Modernise” the Law enforcement Machinery of India. However, there are many challenges before the NATGRID Project before it can be finally implemented in India. The first and foremost challenge before the Project is to provide for adequate safeguards and protections against its misuse. India has already committed a blunder by starting the Aadhar Project of India without any legal framework and necessary safeguards. As a result the Aadhar Project has not been successful at all and is facing severe criticism and opposition. Similar opposition were raised against NATGRID Project as well and the Cabinet Committee on Security (CCS) of India asked for further “Safeguards” before the NATGRID Project can be launched in India. However, till the month of November 2010, no such safeguards have been put at place by the Home Ministry of India. This can be a serious problem for the successful implementation of the Project. The Law enforcement Agencies and Intelligence Agencies of India are also practically governed by no law. The outdated colonial laws still govern the functioning of these agencies. Similarly, there are no privacy laws and data protection laws in India. There is an urgent need to formulate effective privacy and data protection laws in India. Another area of concern is the growing use of e-surveillance in India. In order to effectuate its e-surveillance exercises, India has manipulated the Information Technology Act, 2000 (IT Act 2000), the sole cyber law of India, through the Information Technology Amendment Act, 2008 (IT Amendment Act 2008). There are no “Guidelines” or “Procedural Safeguards” subject to which the “Internet Censorship” and “E-Surveillance Powers” can be exercised by Indian Government and its Agencies and Instrumentalities under the cyber law of India. In fact, the present Encryption Norms and Regulations in India allow only an “Outlaw” to enjoy Human Rights in Indian Cyberspace. Before NATGRID Project is implemented in India, it is very imperative to enact a “Lawful Interception Law”. In the absence of proper laws that respect and Safeguards and Fundamental Rights enshrined under the Constitution of India, the exercise of “Self Defence” against Indian Government and its agencies and Instrumentalities seems to be the only choice. If Home Minister P. Chidambaram wants the Projects like NATGRID, Crime and Criminal Tracking Network and System (CCTNS), etc to succeed, he must not take a short cut and must not avoid the “Constitutional Scrutiny”. Rather he must ensure proper “Safeguards” before such Projects are launched in India.